Indoors, dark wood, heavy Victorian colours and sporting trophies hark back to an age of aristocratic leisure and luxury. After extensive works that started in 2017, the castle in 2019 will feature new displays, exhibitions and a stylish new tearoom. Outdoors you’ll find our fantastic new Isle Be Wild play park as well as our new Silver Garden. 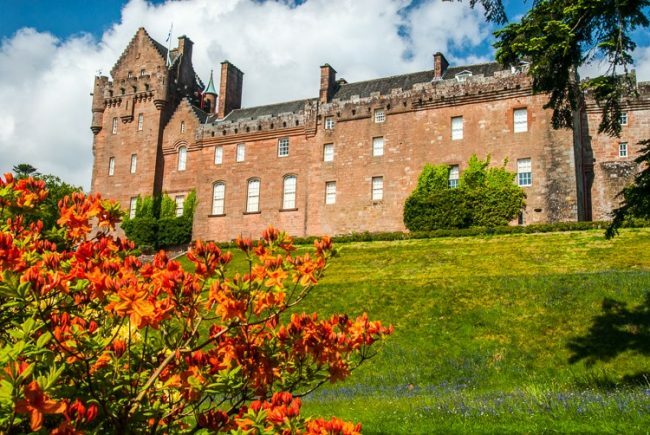 The formal gardens, woodland, waterfalls, bathing pools and bold rhododendrons conjure up an island charm that will beguile children and adults alike.